The fine folks at Blackbird, a hip purveyor of men’s furnishings, offer a few “vintage” items on their website. 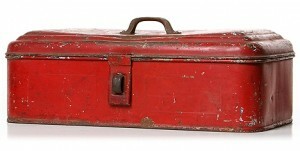 I love the fact that Blackbird values this toolbox at $125. Yes you read that correctly. If I can get prices like that on this type of item then yours truly will be retiring very soon. See the Blackbird Vintage collection here. Check out all of Blackbird’s fine men’s clothing and accessories here. I have read a ton of books about Word War II, most of them about the Battle of Britain and the wartime exploits of one Winston Churchill. After years of reading books about historical events that have been very well covered, it is rare to read something new and surprising about particular topics. However, my latest Weekly Ready – Dinner with Churchill: Policy-Making at the Dinner Table by Cita Stelzer – is a refreshing new look at one such much covered subject. In this wonderful new book, Ms. Stelzer invites us into a part of Churchill’s life that has been previously uncovered and shows us interesting and surprising insights into the political workings of the man during his finest hour. In addition to the serious issues Churchill and his war cabinet were dealing with, this book is full of anecdotes that humanize its subject in ways that I have never found before. Tales of Churchill’s use of table utensils to replay an historic battle, for example, not only shows his great knowledge of military history but just how amazing dinner with the man must have been. Churchill has always been high on my list of historical figures that fascinate me. However, after reading Dinner with Churchill: Policy-Making at the Dinner Table, the next time someone asks the classic question: “if you could have dinner with any figure from history living or dead who will it be?” – I have my answer. 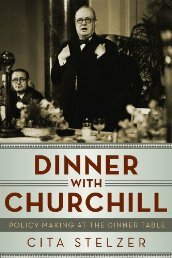 Dinner with Churchill: Policy-Making at the Dinner Table by Cita Stelzer is available from Amazon and other fine booksellers. I have spent most every day this winter sitting by a blazing fire set in my old school cast iron stove and I have loved every minute of it. I also love having a fire outside. 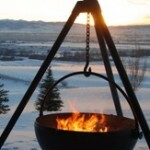 It is still a little too cold to sit outside even with a fire, but soon it will be outdoor fire season and I have found the perfect way to enjoy it – with a fire pit from the Cowboy Cauldron Company. I can totally see myself setting up one of these cauldrons in the last days of the snow cover before the mud take over – with a tumbler of bourbon in one hand and a cigar in the other. Check out the Cowboy Cauldron Company here. When we were cleaning out my parents’ house a couple of years ago, we found something like 37 staplers. We kept count as we were amused there were so many. 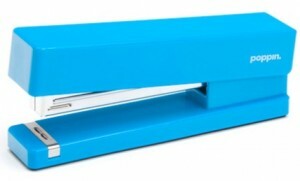 I remember a childhood where my mother’s stapler was something that was not touched without permission. We found that stapler and its two dozen plus siblings and used it as an illustration of how my parents had a little bit of the hoarding gene within them. I will admit that I chose one of the staplers to keep, and I do use it from time to time. However, the stapler I kept, and none of the other staplers found in the house, are nearly as cool as the colorful staplers from Poppin. See all the cool products from Poppin here. I love simple recipes that have a few really good wholesome ingredients and are really more about assembling than cooking. I also love simple recipes that contain more than one of my favorite foods brought together in a new and exciting way. Well, I am pleased to say that today’s recipe includes all of these conditions – this recipe for Broccoli and Chickpea Salad I found in Whole Living magazine. I love broccoli and chickpeas and this recipe celebrates both in a way I never would have thought to bring together before. I made this salad with only a few minor substitutions (I don’t care for pine nuts) and it was delicious. Even though it was the middle of winter when I made this salad, I ate it with cold chicken and it was nice lunch. Now I can’t wait for summer when this will really be a perfect addition to any meal. 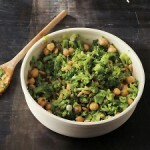 Find the Broccoli and Chickpea Salad recipe from Whole Living here. Visit the Whole Living website here. I love little plates and trays. I have many. I have a dozen or so dessert plates featuring various versions of Andy Warhol’s iconic image of Marilyn Monroe. I have a skull and cross bone tray and a tray with the New York skyline on it – among many others. Over the years I have used these small plates and trays for their intended purposes, as well as for wall art. 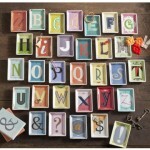 I just stumbled upon these Alphabet Studio Trays from Rosanna, which I think would make a great wall art installation – picture rows of four or five laid out in a Brady Bunch style mosaic – very cool. See all the great products of Rosanna here. A few weeks ago I presented a series of quick finds centered around things that could help us enjoy the balance of the winter season (especially those of us up here in the snow belt). Many of you mentioned that you like the posts that featured a few “finds” at a time. So, starting this week, and with inspiration borrowed from my friend Lynda’s blog, I am starting a new weekly post: Friday Finds. Each Friday I will be presenting a collection of Lost Cowboy’s signature Finds that may otherwise not have made their own posts. Some weeks there may be a theme, but for the most part the featured finds will be as eclectic as the rest of the week. Enjoy! I have featured similar artists in the past, but there is something special about the innocent and whimsical illustrations of Elly MacKay that makes me happy. 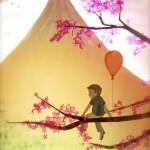 Visit Elly MacKay’s website here. 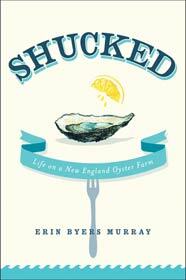 Shucked: Life on a New England Oyster Farm by Erin Byers Murray is available from Amazon and other fine booksellers. This Find needs no explanation… I just love fine watches. 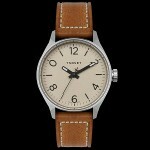 Check out the SVT-RS40 Collection of watches from Tsovet here. 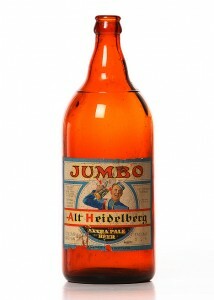 What would my first collections of Friday Finds be without a post about bourbon or whiskey? Shackleton Whiskey is a great find as it refers to the most interesting history of the Shackleton Antarctic Expedition which always fascinated me. 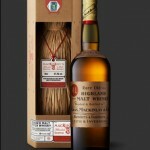 Check out more about Shackleton Whiskey here. Finally today, the Wellfleet Sea Salt Company, a great story of young entrepreneurs harnessing two of my favorite things: salt and Wellfleet, MA. 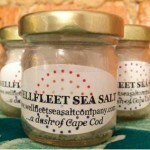 Visit the Wellfleet Sea Salt Company shop here. I have a trip to London planned for March, which I am excited about and look forward to posting about here. I am so excited that I have already started packing. Which makes today’s post perfect: the Custom Leather Luggage Tags from Owen & Fred. These luggage tags are really classy and make a great gift for your favorite traveler. 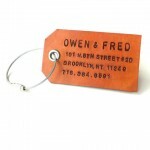 See all the luggage tag options of Owen & Fred here. I have more favorite books than favorite authors. The only authors whose work I have totally devoured are John Irving, Roald Dahl, George Orwell, Nick Hornby and Dashiell Hammett. And as a teenager I read every Mickey Spillane book back to back one summer when I was supposed to be shelving books at one of the largest university libraries in the world. Ironic I suppose, working in the stacks of a great Ivy League institution’s main library I was reading the most common of pulp novels. Anyway, this preamble is all to say that one other author whose entire output of work I have read and enjoyed is Richard Russo. Mr. Russo’s Mohawk and Empire Falls are two of the novels that have impacted me most in my adult life. Mr. Russo’s latest work is not a novel, but a memoir, entitled Elsewhere: A memoir, and it is positively brilliant. I have always enjoyed the memoir genre and truly believe that everybody has an interesting story to tell. Take a gifted novelist and have him write his real-life observations and you have the recipe for a perfect read. I enjoyed every page of Elsewhere: A Memoir and have come away with a greater appreciation for a man and an author I already admired. 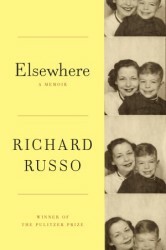 Elsewhere: A Memoir by Richard Russo is available from Amazon and other fine booksellers. You probably already have a George Washington and an Abe Lincoln bobblehead in your collection. 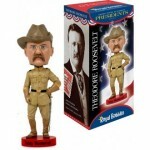 So on this Presidents’ Day, may I suggest you add this Theodore Roosevelt Bobblehead to your display? The Theodore Roosevelt Bobblehead is just one of the many Roosevelt items available from the shop of the American Museum of Natural History. The AMNH shop includes a large section of Teddy Roosevelt items like the bobblehead and this somewhat less cheeky bust of the 26th president of the United States. Learn more about President Theodore Roosevelt on the American Museum of Natural History website here.